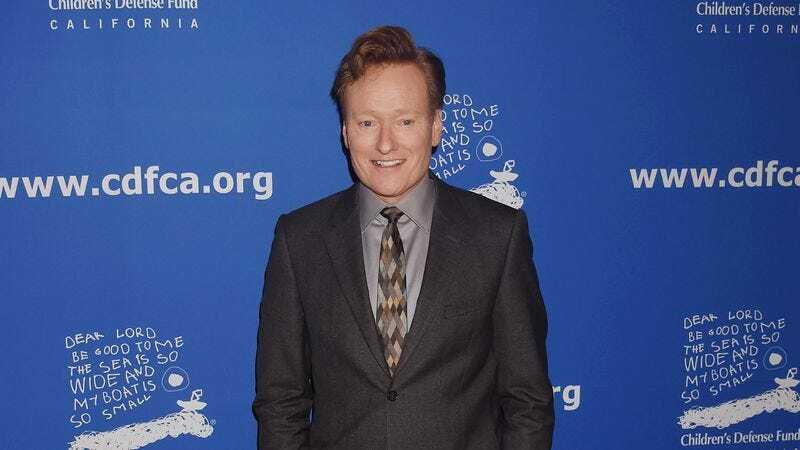 Conan O’Brien’s Conan Without Borders: Made In Mexico special is set to air on TBS next week, and while visiting the studio he’ll be using on his trip to Mexico and meeting with the all-Mexican crew that will be working on the show with him, he took some time to film a cameo appearance on the popular telenovela Mi Adorable Maldición. This comes from Deadline, which reports that O’Brien played a cheese importer named Joseph Robinson and appeared in scenes with lead actors Renata Notni and Pablo Lyle. O’Brien even improvised some of his lines, which probably required a significant amount of confidence in his ability to speak Spanish. O’Brien previously made soap opera cameos during his trips to Armenia and Berlin, and the Conan Without Borders special will air on March 1.